In honor of Scotland’s St. Andrews Day at the end of the month, I wanted to explore the history of one of Scotland’s popular folk songs. The 19th Century actress, Dorothea Jordan, introduced the song in the early 1800s at the Drury Lane Theatre in Edinburgh. She claimed to perform the song to an “original composition.” Some historians believe she may have altered the melody to fit her range better. There are several stories behind the creation of this song. One theory is that George Thomson paid Franz Joseph Haydn for over 200 tunes, including the Blue Bells of Scotland. He then published this song and others he’d purchased. Tradition holds that Mrs. Anne Grant of Laggan may have been paid to translate and edit this folk song. After being left a widow with eight additional mouths to feed, Mrs. Grant fed her family by publishing poems she wrote. Another version is Mrs. Grant wrote one poem titled Oh, Where, Tell Me Where? This poem could be the original poem for the song or the inspiration for the song Mrs. Grant edited. Historians have been unable to prove which version of authorship is the actual story. Oh, Where, Tell Me Where? Is believed to have been written for the Marquis of Huntly, who was departing with his regiment for Holland in 1799. She is not the only person to edit and change the lyrics or tune, which is why there are multiple versions of the song. Along with the various changes, there have also been title changes, including The New Highland Lad. The origins of the exact tune is unknown but some researchers have claimed it was an old English air while others claim it was a Scottish folk tune or a Haydn tune. 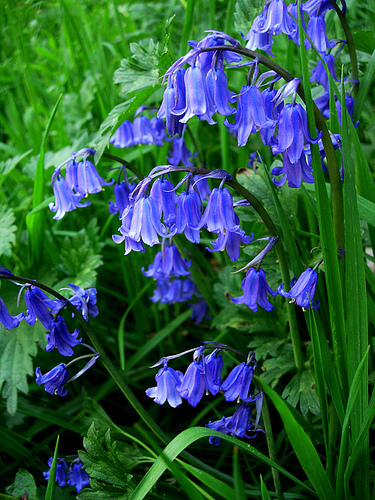 Regardless of the truth behind the origins, The Blue Bells of Scotland has become a much loved song.